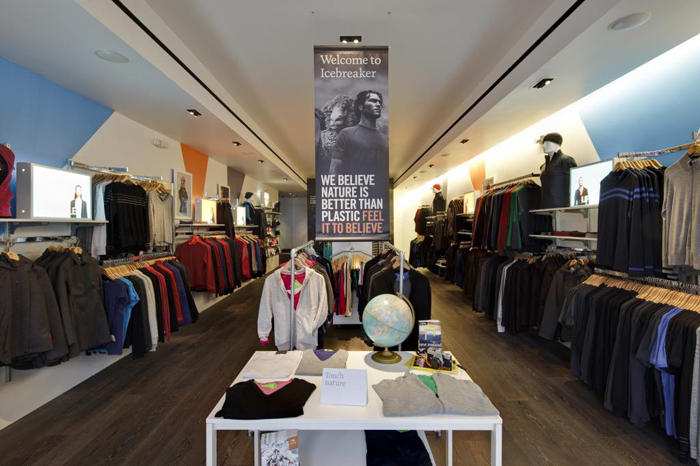 Wellington, New Zealand – Icebreaker, the New Zealand company that pioneered the merino wool adventure apparel category, today announced it will open a new TouchLab store – more than 8,000 feet above sea level – in Vail, Colorado, on December 14, 2012. Icebreaker will open this new 1,000-square-foot TouchLab at Solaris, a new mixed-use development featuring shopping, dining and luxury residences just steps from Vail Ski Resort. The store is a partnership between Icebreaker and Specialty Sport Ventures, the retail arm of Vail Resorts. The Vail TouchLab store will feature Icebreaker's complete line of pure, natural merino wool apparel, including its exceptional ski base layers and après ski wear. The brand’s Outdoor, Running, Travel, Kids and Underwear collections, plus Socks and Accessories, will also be available. All are made from handpicked merino wool born in the Southern Alps of New Zealand. The store will allow shoppers to touch Icebreaker merino, known for being so soft that people often don’t even realize it’s wool. The store's Tactile Gallery will have garments that explain the functional benefits of Icebreaker merino – it is soft, non-itch, odour-resistant and highly breathable. Merino also regulates temperatures, which means it warms in the cold and cools in the heat. Icebreaker has eight other North American TouchLabs: Portland, Oregon (home of its US headquarters); New York City (SoHo and the Meatpacking District), California (San Francisco and San Jose), Montréal and Vancouver, British Columbia (Kitsilano and North Shore). A ninth store, located in Washington, DC, will open its doors in March 2013. The Vail TouchLab will be open from 8 am to 8 pm, seven days a week.